Referring to US President Barack Obama’s statement that “America is exceptional” because it stands up not only for its own “narrow self interest, but for the interests of all,” Correa said: “Does not this remind you of the Nazis’ rhetoric before and during World War II? They considered themselves the chosen race, the superior race, etc. Such words and ideas pose extreme danger,” President Correa said on RT Spanish’ Entrevista program. The $19 billion verdict was the result of a 1993 lawsuit filed in New York federal court by a group of American attorneys – including Steven Donziger – on behalf of 88 residents of the Amazon rainforest. 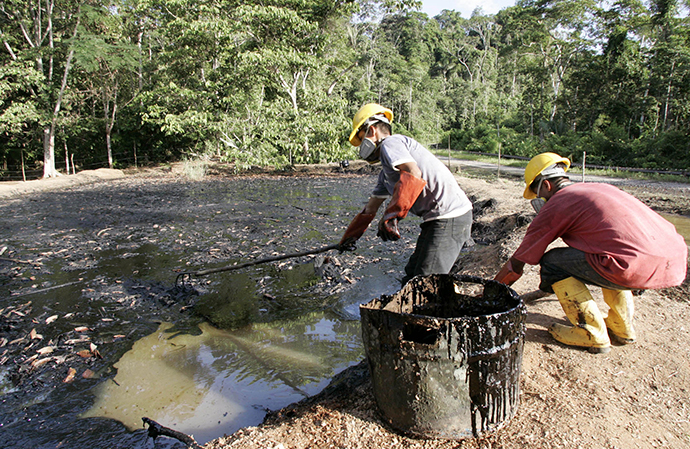 In the intervening period, Texaco was acquired by Chevron in 2001, and plaintiffs re-filed their case in Ecuador in 2003.